T-Rack Softlines fixture is created using snap-together Tube Line parts for quick installation. The typical T-Rack fixture includes a T-Rack Fashion Upright and End Frame, T-Rack Tie Bar, Top Cap Single Track, and Tube Line Metal Shelves. 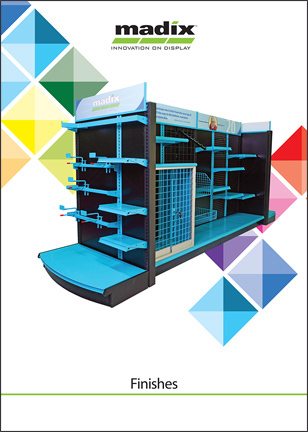 T-Rack configurations can be customized with a variety of accessories to accomodate any apparel applications.